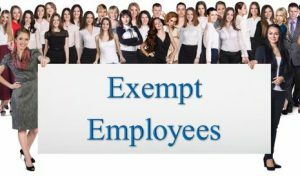 The Internal Revenue Service (IRS) announced today that starting May 13th only individuals with tax identification numbers may request an Employer Identification Number, or EIN, as the “responsible party” on the application. This change will prevent entities, such as employer, from using their own EINs to obtain additional EINs. The requirement will apply to both the paper Form SS-4, Application for Employer Identification Number, and the online EIN application. Individuals named as responsible party must have either a Social Security Number (SSN) or an individual taxpayer identification number (ITIN). The IRS is making the announcement now to give entities and their representatives time to identify proper responsible officials and to comply with the new policy. This change is part of the IRS’s ongoing security review. It provides greater security to the EIN process by requiring an actual individual to be the responsible party and improves transparency. If the employer needs to change the responsible party, it can complete the Form 8822-B, Change of Address or Responsible Party within 60 days of the change. Entities such as federal, state, local or tribal governments are exempt from the responsible party requirement, as is the military including state national guard units. 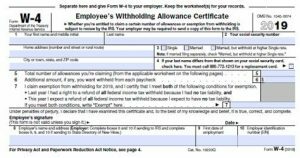 Alternative to Form W-4: The report recommends scraping the Form W-4 altogether and analyzing the feasibility of adopting an IRS-determined withholding code. This approach is currently being utilized in the U.S. tax administration. It also recommends that withholding be expanded at the source to encompass not only wages, but taxable interest, pensions, dividends, capital gains, IRS income, unemployment and even, potentially, certain earnings as an independent contractor. Furnishing Information Returns Electronically: Information return data to taxpayers should be furnished electronically for direct importation into tax return preparation software or to authorized tax return preparers. Lower Electronic Filing Thresholds: The report recommends requiring employers with more than five employees to file Forms W-2 electronically. 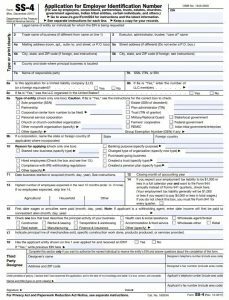 Form 941 Filing: Recommends requiring Form 941 contain information about each employee’s name, address and social security number. To promote electronic filing, direct the IRS to use the fillable form currently on the IRS website and reformat so the form can be electronically filed, at no cost, directly from the website. Effects of the new tax law and the shutdown on overall IRS workloads: With all of the new tax forms needed to incorporate the changes to the tax code the IRS was overwhelmed. Add to this the shutdown and the antiquated systems (IRS has two of the oldest IT systems in the federal government) and you have a recipe for potential disaster. Because of these issues the IRS is now having to process more than five million pieces of mail and over 87,000 amended returns. All manually. IT modernization was the number one recommendation in this report. Whether or not the recommendations are implemented is anybody’s guess. But as the situation is becoming more intense at the IRS for meeting deadlines and handling the workload with antiquated systems it will be well remembered to monitor this report for any upcoming legislative changes. 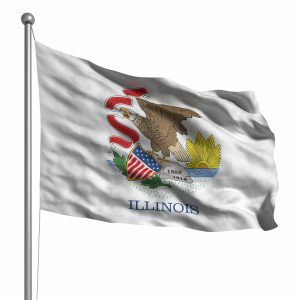 Especially in the area of electronic filing, lowering thresholds and replacing the Form W-4. The Internal Revenue Service and its Security Summit partners have once again warned payroll professionals of an uptick in phishing emails targeting them that this time involve payroll direct deposit and wire transfer scams. These business email compromise/business email spoofing (BEC/BES) tactics generally target all types of industry and employers. The IRS and the Summit partners, consisting of state revenue departments and tax community partners, are concerned these scams – a well as the Form W-2 scam — could increase as the 2019 tax season approaches. These emails generally impersonate a company employee, often an executive, and are sent to payroll or human resources personnel. 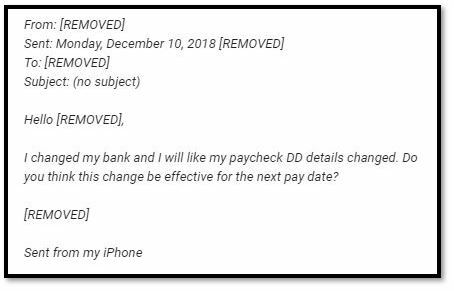 The email from the “employee” asks the payroll or human resource staff to change his or her direct deposit for payroll purposes.The “employee” provides a new bank account and routing number, but it is, in reality, controlled by the thief. Most of the time this scam is usually discovered quickly, but not before the victim has lost one or two payroll deposits. As a reminder, we have discussed in a previous blog, there is another version of the BEC/BES scam, the emails impersonate a company executive and are sent to the company employee responsible for wire transfers. The email requests that a wire transfer be made to a specific account that is controlled by the thief. Companies that fall victim to this scam can lose tens of thousands of dollars. A common theme in these and many other email scams is that they include grammatical and spelling mistakes. The IRS has provided an example of one such email (edited by IRS) that is displayed at the top of this blog. Payroll/Tax professionals and others should also report tax-related phishing emails to phishing@irs.gov. This account is monitored by IRS cybersecurity professionals.This reporting process also enables the IRS and Security Summit partners to identify trends and issue warnings. Because of the dangers to tax administration posed by the Form W-2 scam, the IRS set up a reporting process for employers. Employers who fall victim to the W-2 scam should report it at dataloss@irs.gov. There is a process employers can follow at Form W-2/SSN Data Theft: Information for Businesses and Payroll Service Providers. Employers who receive the W-2 scam email but do not fall victim should forward the email to phishing@irs.gov. 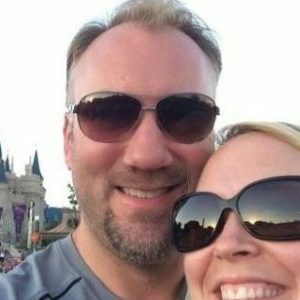 We have another guest blogger with some great info for you. Hope you enjoy it. As attested by Pew Research self-named Generation Y (those born during the 1980s and early 90s) have eclipsed previous generations in regards to workforce involvement. In fact, according to a recent survey a vast majority of millennials feel that “flexibility and ambition” are closely associated. With 78% of this group more likely to have a full-time spouse/partner working, there’s little surprise that workplace formulation has made a tremendous shift. The upshot is telecommuting. Actually, businesses today are no longer put-off by home based work requests and frequently include work-at-home proposals in HR recruitment plans. The increase in millennial contemporaries has introduced massive modifications in the way companies manage their staff due to remote employment. The millennial workforce is expanding, proficient, and au fait with the demands of today’s global economies. The concept of remote workers continues to be an anomaly of sorts, as more convenient options of generating income has yet to sink into the psyche of the masses. To many individuals, the traditional way of working is the only viable means of employment. Questions like, how people get paid, how companies account for workers, and is it serious work are common. Unfortunately, short-sighted suppositions prevent many who could benefit from remote work the opportunity to take advantage of it. Consequently, a long-term sophisticated system must be established to consolidate the undertaking and oddities of the digital workforce, as telecommuting is now accepted as the adopted workforce for both large and small companies. As a result, many corporations have devised means of cutting costs in the current world of financial dubiety with access to a worldwide top-notch labor force. Outsourcing is mutually beneficial for both companies and their remote staff. For example, individuals with physical limitations are able to find work while companies increase production, downsize office space and save on office equipment. Nevertheless, making remote workers accountable is a sticking point for many corporations. What strategies and blueprints are foolproof enough to ensure that telecommuters are actually on-the-job and not sipping tea while watching the latest reality show? HR managers, CEOs, and IT folk at both large and small businesses, are hard-pressed to discover a way of guaranteeing that their employed remote workers are actually working. It’s much like maintaining a long distance relationship without the romanticism. What it comes down to is implementing a superb software program. Here are three suggestions on how to keep remote workers accountable. Dissimilar to staff working in an office, remote staff may experience delays in correspondence due to a lack of face-to-face interaction. To clarify the situation, companies should consider arranging several specific communication techniques that coordinate with a virtual program for work at home employees. For instance, some businesses use social computer networks or employee apps like Blink or VeryConnect. These types of networks allow virtual staff to stay connected to other telecommuters who may offer assistance and management throughout the working day. Another solution for communication issues include using Skype or Google Hangout in case of inaccuracies via chat or email. Of course, the good ole’ 19th century invention called the telephone is still viable in its 21st century incarnation known as a smartphone. Remote teams require a sophisticated level of management and transparency across every line of work. In light of this, it is crucial to employ a system that allows access to a telecommuter’s tasks, work hours, pay arrangement (for instance by the hour or by each task), etc. Software systems like Time Doctor offers everything from time tracking and screen shots to web usage, payroll, reporting and more. This type of software tracking system helps employers keep remote workers viable and accountable. Businesses must keep track of telecommuters working hours and additional vital information to make sure all is aboveboard; therefore, the correct software set-up is vital for companies and their teleworking staff. In addition, companies must make modifications and incorporate accountability into the workflow. Well-organized coordination between employers and remote workers substantially increases productivity according to Remote.Co. Working virtually is not exempt from stumbling blocks. In spite of that, there are a number of reliable methods to contend with the most frequent problems. For example, what if an employee has unreliable Internet? The best solution is to make certain that a potential team member has a stable connection before hiring them. In fact, a secure Internet connection should be a priority for remote workers. In case something does happen, a telecommuter should have access to a Wi-Fi hot-spot nearby. If not, stopping by the office is another option if it’s close by. Doing something is better than doing nothing and letting technical problems get in the way of a day’s work. In essence, it’s about using common sense ways and means to anticipate difficulties that might arise from using remote workers and making provisions for them. 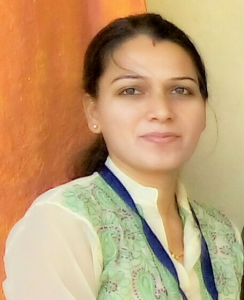 Vaishali Badgujar is a digital marketer at Time Doctor, a SaaS time tracking & productivity tool for companies & freelancers. She is an inbound marketing expert & specializes in link building. As summer is coming to a close we have one more guest blogger for you with some great information on productivity. I hope you enjoy this blog from Dean Mathews of OnTheClock. As a payroll manager, tracking workplace productivity is more than a default part of your job description. As the main custodian of data regarding the number of hours employees spend working, there’s a wealth of insight you can provide to unlock potential productivity improvements in your organization. However, this is only possible if your workplace is equipped with a good time tracking system. You might be wondering, “Well, we do use timesheets?” While there is nothing intrinsically wrong with this time tracking method, traditional timesheets are not as fool-proof as the sophisticated time tracking software available today. In fact, research published in Harvard Business Review revealed that the majority of employees are inaccurately filling out their timesheets. This is costing the US economy $7.4 billion in lost productivity every day in the service sector alone. You might be staring at your screen right now confused. Isn’t multitasking a productivity booster? So much so that it’s a skill a lot of businesses value. Turns out that this is a big misconception. With time tracking, employees must focus on the one task that is currently being tracked. This reduces what is called context switching and allows employees to focus their mental energy on the task at hand, producing better quality work. It also allows project managers to see which employees engage in multitasking so the proper guidance and coaching can be provided to help them focus on one task at a time. Email is an essential business communication tool, but it is also a productivity blackhole. An average office worker receives approximately 200 emails per day and spends 2.5 hours clearing out their inbox. Out of these 200 emails, 144 are not related to them and they were just CC-ed or BCC-ed in the conversation. Email is just one of the non-essential tasks that is taking time away from more important projects. This does not even take into account the time spent on non-work related tasks such as social media browsing. What’s worse, as a payroll manager you know money is going down the drain paying employees for time spent on tasks that cannot be billed to your clients or customers. With a well-established time tracking software, an organization can identify these productivity leaks and implement measures to reduce or eliminate them. This improves employee morale by reducing stress. At the same time, it saves the company money. An unhappy employee is an unproductive employee. 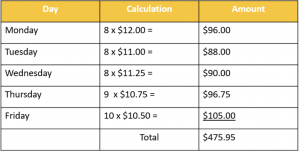 One of the major things that decreases morale for employees is not being accurately compensated. This creates a cloud of distrust in the organization. Employees feel they are being cheated on and not getting the remuneration they deserve. This may result in a backlash in the form of low-quality work derailing important projects. Of course, there are some unscrupulous businesses who intentionally shortchange their employees, but most payroll inaccuracies are a result of inaccurate time tracking. Having a time tracking system in place eliminates inaccuracies in payroll because hours are easily and automatically tracked. There’s also a record, employees can refer to when payroll questions arise. All work and no play makes employees unproductive. Putting in extended, and sometimes exhaustive, hours at work for a long period of time is a proven productivity killer. It can snowball into other problems such as habitual absences or tardiness, low employee morale, high attrition rates, and client/customer dissatisfaction. The sad news is many managers do not catch these signs early enough, primarily due to poor time tracking practices. Employees who are paid by the hour might not mind putting in the extra hours because they are getting paid for their billable hours. 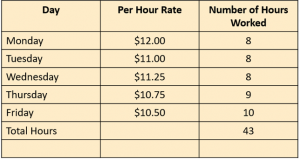 However, working overtime can cause serious issues with salaried, flat-rate employees. While employee wellness is not the main responsibility of a payroll manager, a practical time tracking system can offer useful data to identify those employees in jeopardy of burning themselves out. Time tracking reveals discrepancies in time estimates between the projections during project planning and the actual hours spent during the project execution. The benefit this has on productivity is three-pronged. First, it allows project managers to improve their forecasting for future similar projects. Second, it prevents employee burnout as discussed above. There’s no need to put in extended hours to meet project deadlines if it’s not really necessary. Lastly, it allows the organization to charge more appropriately via accurate accounting for the necessary man-hours to complete a project. Just a quick caveat. 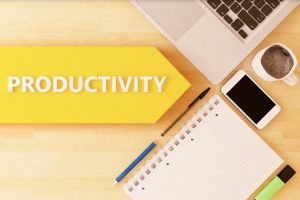 In order for any time tracking system to improve workplace productivity, making productivity a key priority should already be in the DNA of your organization’s culture. You should already know the core principles of good time management. Otherwise, you’re just going to waste time, tracking wasted time, right? That said, time tracking has been proven time and again to increase productivity. Following the old business adage that you cannot manage and improve what you don’t track and measure, time tracking can open new heights of productivity that you never thought was possible. It also benefits your employees by minimizing multitasking and reducing time spent on non-essential tasks. Indeed, it is time to put your workplace back on track. Dean Mathews is the founder and CEO of OnTheClock, an online time clock app that helps over 8000 businesses all around the world track their employee time. Dean has over 20 years of experience designing and developing web-based business apps. He views software development as a form of art. If the artist creates a masterpiece, many peoples lives are touched and changed for the better. When he is not perfecting time tracking, Dean enjoys expanding his faith, spending time with family, friends and finding ways to make the world just a little better. You can find Dean on LinkedIn.